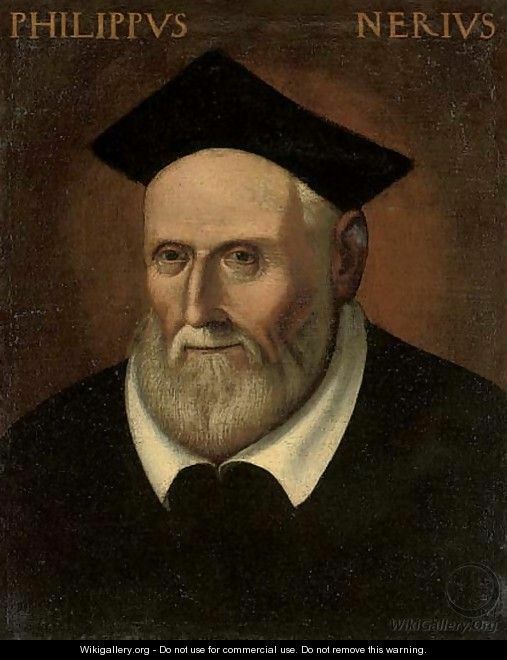 May 26 – St Philip Neri, CO, (1515-1595) – Apostle of Rome, “A joyful heart…” | ADULT CATECHESIS & CHRISTIAN RELIGIOUS LITERACY IN THE ROMAN CATHOLIC TRADITION: hosting ONLY True Christians!! !, or "How to think Catholic!!" 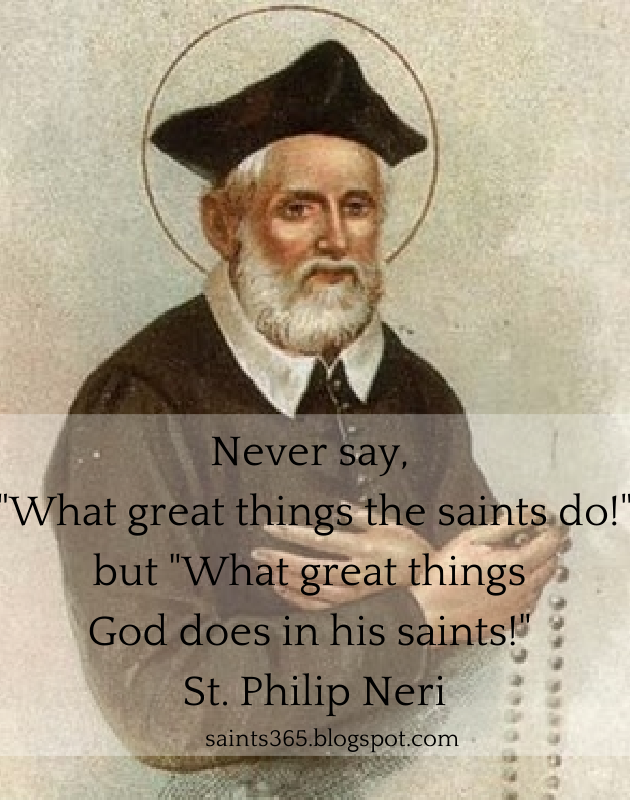 If one had to choose one saint who showed the humorous side of holiness that would be Philip Neri. “A joyful heart is more easily made perfect than a downcast one”, he often said. Philip Neri was a sign of contradiction, combining popularity with piety against the background of a corrupt Rome and a disinterested clergy, the whole post-Renaissance malaise. As the Council of Trent was reforming the Church on a doctrinal level, Philip’s appealing personality was winning him friends from all levels of society, from beggars to cardinals. He rapidly gathered around himself a group of laypersons won over by his audacious spirituality. He was born in Florence on July 22, 1515, the youngest child of Francesco, a lawyer, and his wife Lucrezia da Mosciano, whose family were nobility in the service of the state. Neri was carefully brought up, and received his early teaching from the Dominican friars at San Marco, the famous Dominican monastery in Florence. He was accustomed in later life to ascribe most of his progress to the teaching of two of them, Zenobio de’ Medici and Servanzio Mini. He showed the impulsiveness and spontaneity of his character from the time he was a boy. In fact one incident almost cost him his life. Seeing a donkey loaded with fruit for market, the little boy had barely formed the thought of jumping on the donkey’s back before he had done it. The donkey, surprised, lost his footing, and donkey, fruit, and boy tumbled into the cellar with the boy winding up on the bottom! Miraculously he was unhurt. Philip’s own father was not successful financially, and, at the age of 18, Philip was sent to his uncle, Romolo, a wealthy merchant at San Germano, a Neapolitan town near the base of Monte Cassino, to assist him in his business, and with the hope that he might inherit his uncle’s fortune. He did gain Romolo’s confidence and affection, but soon after coming to San Germano Philip had a conversion. During this time, Philip found a favorite place to pray up in the fissure of a mountain that had been turned into a Dominican chapel. We don’t know anything specific about his conversion but during these hours of prayer he decided to leave worldly success behind and dedicate his life to God. He chose to relocate to Rome in 1533. After thanking his uncle, upon arriving in Rome he was the live-in tutor of the sons of a fellow Florentine, Galeotto Caccia, an aristocrat. He studied philosophy and theology under the Augustinians, until he thought his studies were interfering with his prayer life. He then stopped his studies, threw away his books, and lived as a kind of hermit. At his new home, the church of San Girolamo, he learned to love to hear confessions. Young men especially found in him the wisdom and direction they needed to grow spiritually. But Philip began to realize that these young men needed something more than absolution; they needed guidance during their daily lives. So Philip began to ask the young men to come by in the early afternoon when they would discuss spiritual readings and then stay for prayer in the evening. The numbers of the men who attended these meetings grew rapidly. In order to handle the growth, Philip and a fellow priest, Buonsignore Cacciaguerra, gave a more formal structure to the meetings and built a room called the Oratory to hold them in. Philip understood that it wasn’t enough to tell young people not to do something — you had to give them something to do in its place. So at Carnival time, when the worst excesses were encouraged, Philip organized a pilgrimage to the Seven Churches with a picnic accompanied by instrumental music for the mid-day break. After walking twelve miles in one day everyone was too tired to be tempted! In 1555, the Pope’s Vicar accused Philip of “introducing novelties” and ordered him to stop the meetings of the Oratory. Philip was brokenhearted but obeyed immediately. The Pope only let him start up the Oratory again after the sudden death of his accuser. Despite all the trouble this man had caused, Philip would not let anyone say anything against the man or even imply that his sudden death was a judgment from God. Humility was the most important virtue he tried to teach others and to learn himself. Some of his lessons in humility seem cruel, but they were tinged with humor like practical jokes and were related with gratitude by the people they helped. His lessons always seem to be tailored directly to what the person needed. One member who was later to become a cardinal was too serious and so Philip had him sing the Miserere, Psalm 51, the Psalm of repentance, at a wedding breakfast. When one priest gave a beautiful sermon, Philip ordered him to give the same sermon six times in a row so people would think he only had one sermon. 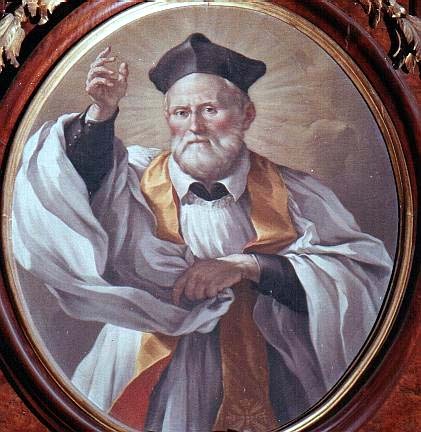 St Philip Neri was an enemy of solemnity and conventionality. When some of his more pompous penitents made their confession to him he imposed salutary and deflating penances on them, such as walking through the streets of Rome carrying his cat (he was very fond of cats). When a novice showed signs of excessive seriousness, Philip stood on his head in front of him, to make him laugh. When people looked up to him too much, he did something ridiculous so that they should not respect someone who was no wiser – and no less sinful – than they were. In every case there was an excellent point to his pranks: to combat pride, or melancholy, or hero-worship. Philip preferred spiritual mortification to physical mortification. When one man asked Philip if he could wear a hair shirt, Philip gave him permission — if he wore the hair shirt outside his clothes! The man obeyed and found humility in the jokes and name-calling he received. Philip was very serious about prayer, spending hours in prayer. 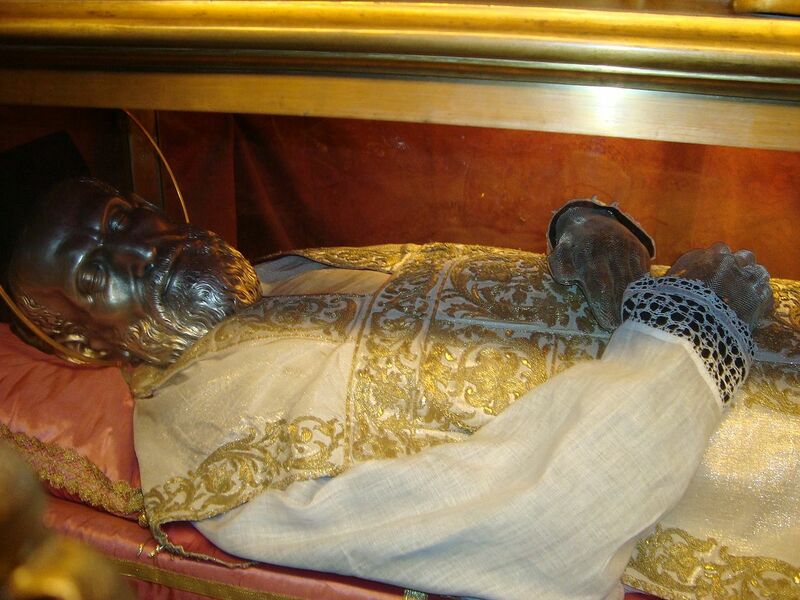 He was so easily carried away that he refused to preach in public and could not celebrate Mass with others around. But when asked how to pray his answer was, “Be humble and obedient and the Holy Spirit will teach you.” Amen. Amen. We often worry more about what others think than about what God thinks. Our fear of people laughing at us often stops us from trying new things or serving God. Do something today that you are afraid might make you look a little ridiculous. Then reflect on how it makes you feel. Pray about your experience with God. Or, if you’re like me, just be yourself! Cheerfulness is an important part of holiness. 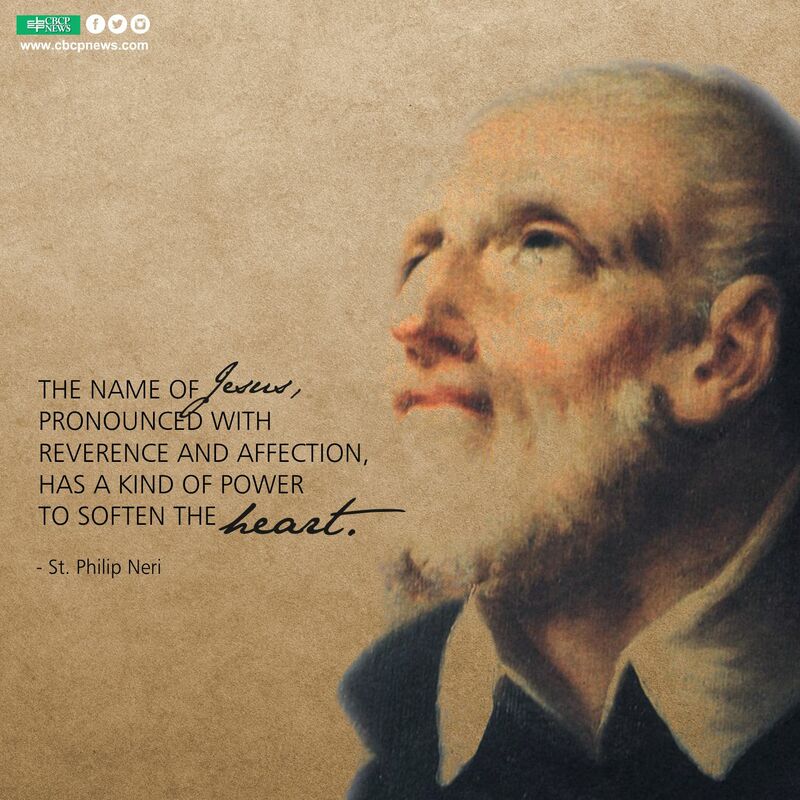 St. Philip Neri’s story teaches us that the way to be really happy is to put God and other people first in our lives. If we only think about ourselves we’ll never feel satisfied. Laughter is not much heard in churches: perhaps that is to be expected… but outside church, Christians should laugh more than anyone else – laugh from sheer joy, that God bothered to make us, and that He continues to love us despite the fools and sinners we are, or, at least, certainly me. Everyone is a sinner, but Christians are sinners redeemed – an outrageous, undeserved rescue and act of Divine Love that we make even less deserved by everything we do. It is too serious a matter to be serious about: all we can reasonably do is rejoice. Which reminds me of a joke…”Take my…”, no, not that one, “Two Irish guys…”, not that one either. Why can angels fly?….Because they take themselves so lightly!